A good place to go if you want to know what’s happening in the glass world is The Glass Quarterly Hot Sheet. Some of the things they’re writing about include the glass painting by glass artist Gregory Grenon that will be shown at the Trevor Gallery in Seattle. 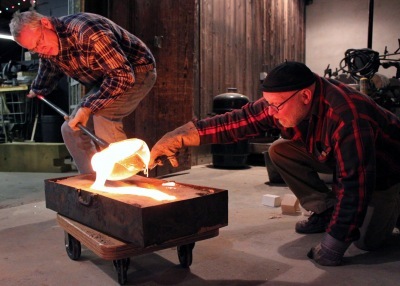 There’s also what’s going to be happening over WheatonArts’ celebration of 50th Anniversary of Studio Glass. Those kinds of celebrations seem to be everywhere! As they should. There are other great articles as well as links to various learning institutes, blogs and other interesting glass related topics. Always a great place for glass information!